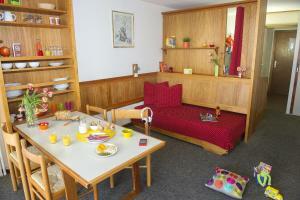 Basic but very clean and functional apartments in probably the best location possible to ski Serre Chevalier. Just a short walk to the main lift and town centre, but far enough to be quiet at night. Lots of free parking, not that you would need a car during your stay. Apartments are well laid out for a couple with 2 children. The reception can organise bakery deliveries each morning if desired. The reception staff were friendly and helpful. I stayed in an a self contained apartment. Room was pretty basic, somewhat dated and worn in places. But it had everything I needed for a good weeks skiing (self catered). For the price I paid, I was really happy, really got no complaints. Cheap, warm, good amenities such as private ski lockers and close to the main ski lift. The staff were friendly and helpful. The room was well kitted out with kitchen items, a balcony, drying racks and a good radiator! Bed's were comfy and a big enough room for 4 people. Accueil, emplacement, appartements clairs et fonctionnels, propreté des lieux. Tout le linge (serviettes, draps, torchons, nappes) est fourni. 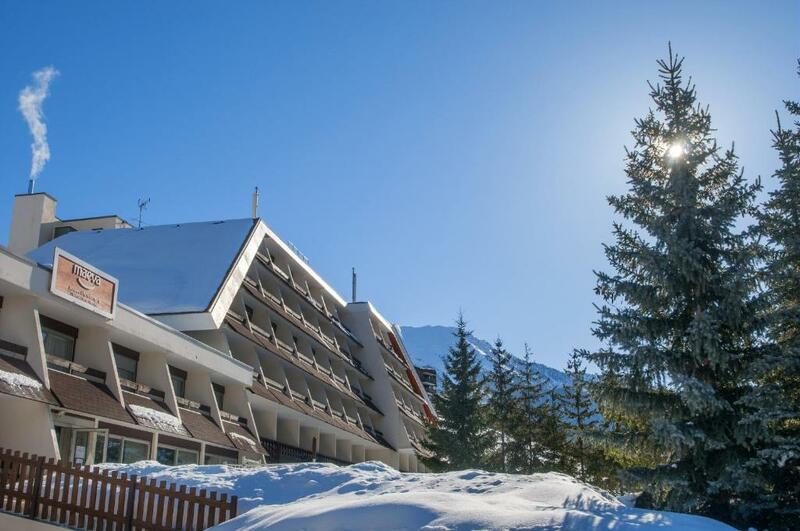 Lock in a great price for Maeva Sélection Serre Chevalier Chantemerle – rated 8 by recent guests! 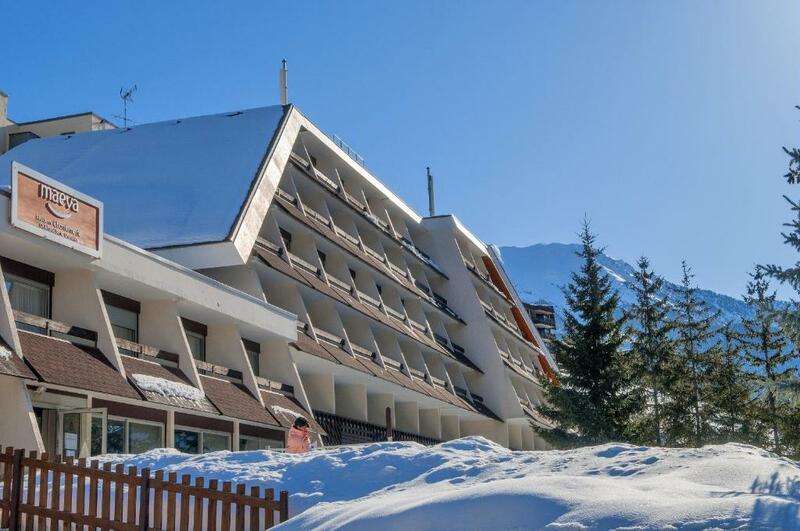 Located within the Grand Serre Chevalier ski resort, Maeva Sélection Serre Chevalier Chantemerle is just 1,300 feet from the slopes. 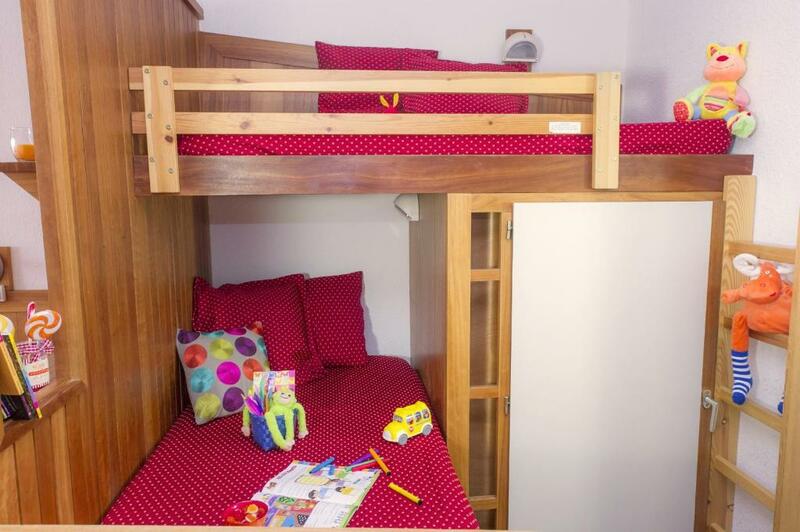 It offers self-catering studios with a balcony equipped with outdoor furniture. All bed linen and towels are included. The living area includes a TV and dining area. Kitchenettes are equipped with hot plates and an oven. A coffee maker and a vacuum cleaner are also provided. There is a shopping delivery service available at an additional cost and a bread and pastries delivery service is available at the reception. Guests have access to a games room with billiards, table soccer and table tennis. Shops are found 1,300 feet away. Briançon SNCF Train Station is 5 mi from Maeva Sélection Serre Chevalier Chantemerle. This property is also rated for the best value in Saint-Chaffrey! Guests are getting more for their money when compared to other properties in this city. 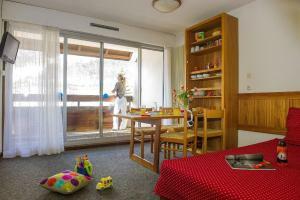 When would you like to stay at Maeva Sélection Serre Chevalier Chantemerle? This self-catering studio has a balcony equipped with outdoor furniture and a private bathroom. 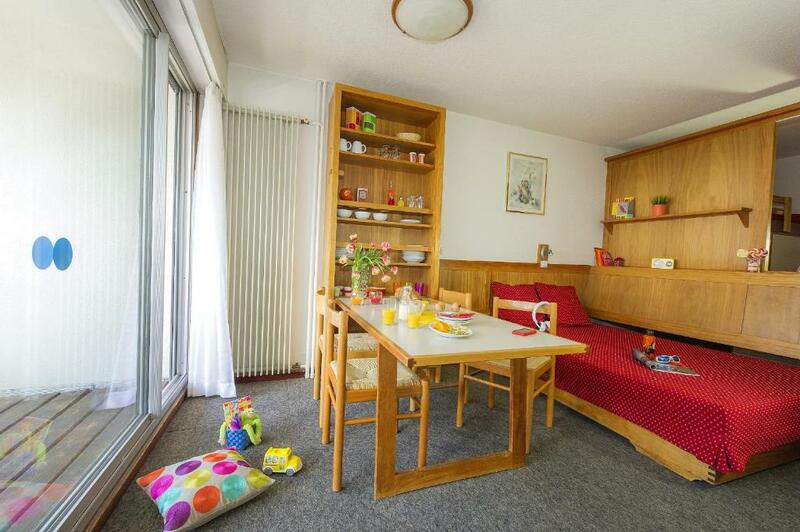 This studio features a balcony, kitchenware and dining area. House Rules Maeva Sélection Serre Chevalier Chantemerle takes special requests – add in the next step! Maeva Sélection Serre Chevalier Chantemerle accepts these cards and reserves the right to temporarily hold an amount prior to arrival. Please note that credit cards are not an accepted method of payment on site for additional purchases or for payment of charges. The reception is open from 09:00 to 12:00 and 17:00 to 19:00. If you plan on arriving after 19:00, please contact the property in advance. Bakery delivery services are available upon request at the reception and charges are applicable. Reservation must be placed 24 hours in advance. Please note that any modification of your reservation may incur a fee. Credit card is the only accepted method of payment for reservations. Kettle and Toaster should be standard items in a kitchenette. Hairdryer would also be useful. You are expected to clean your room at the end of your stay which we weren't aware of. Can pay extra (quite expensive) to have them clean it for you. Not an issue for us really as it was easy to clean, but would have been good to know in advance.